If you’re about to take a bucket-list drive up California’s Highway 1 to Monterey or down Florida’s Overseas Highway to Key West, you need to know this: These road trips are unlike any other drive you’ll take. And that’s especially true if you’re doing it with your family. America’s signature road trips are filled with beautiful, stop-the-car moments, but they can also be distracting, and even dangerous. I’ve taken all of the big drives with my kids, most recently the hair-raising stretch of U.S. Highway 1 from San Simeon to Monterey. I can help you get through the trip without falling off a cliff. It’s a question of adequate preparation, timing, and being aware that bucket-list drives can be distracting. Speaking of Highway 1, it’s a major tourist attraction on California’s Central Coast. Its closure in 2017 because of a landslide cost the region an estimated $500 million in tourism spending, according to officials. So chances are, if you ever make it out to California, you’ll want to do this drive. I won’t spend too much time telling you about the drive. Otherwise, this story will look like a tourism brochure. But I’m not exaggerating when I say it’s the most beautiful 90 miles of road in the world. It’s a two-lane road that hugs California’s rugged coastline and features sharp turns and bridges across ravines that plunge into an icy Pacific. Every few miles, visitors wanting to capture the beautiful scenery: blue sky, ocean, cliffs. Nothing says “California” like this drive. 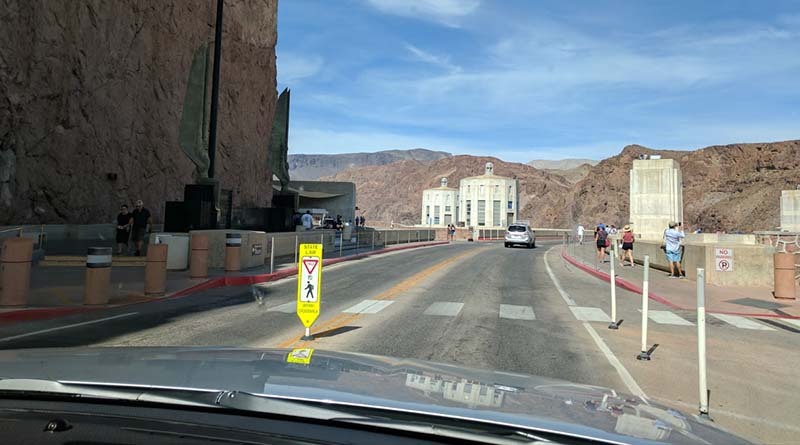 Driving over the Hoover Dam in 2017 — a short but beautiful drive. A lot of family travel “experts” will tell you that preparation means packing the right items — food, entertainment, extra bottles of water. And while that’s important, getting ready for a bucket-list drive is about far more than loading the kids up with movies and letting them veg out in the back seat. You have to brief them. Tell your family where you’re going and why it matters. Why is this drive important? On our drive to Monterey, I explained the significance of Hearst Castle, where we began the trip. I reviewed the history of the area, and how it was settled by the Chumash people before becoming part of California. And we learned plenty about Hearst, the newspaper baron whose name still appears on Dad’s paycheck. We had a similar conversation about the Overseas Highway, another stunningly beautiful drive from Key Largo, Fla., to Key West. I told them about “Flagler’s Folly” — build a rail link from Key West to the mainland. And I had plenty of stories about scuba diving in the shallow reefs of the Atlantic when I was a dive instructor in the 90’s. Of course, my daughter would inevitably ask, “How long is this going to take, Dad?” But I explained to her that the trip would be worth it — and it always was. Now, there’s something to be said for just taking the kids somewhere and letting them experience it. But a bucket-list drive isn’t one of them. Unless they know to look for the abandoned railway bridges or listen for the elephant seals, they’ll miss some of the best parts. So yes, stock up on food and water, but make sure they also have the information they need. 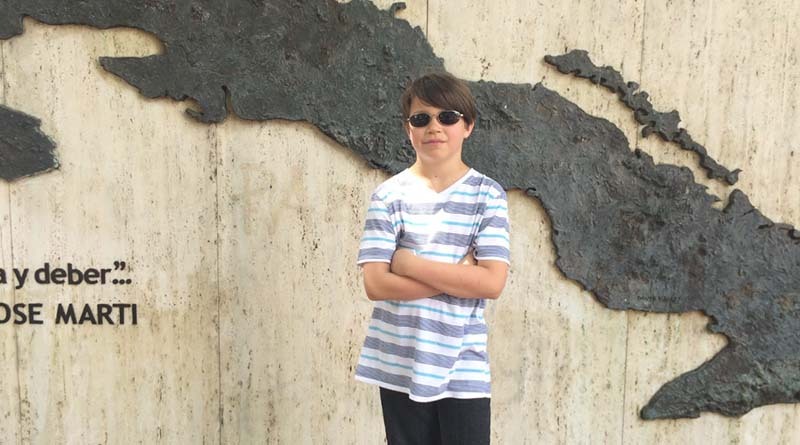 Iden Elliott at Cuban Memorial Park in Miami’s Little Havana district, the start of our drive to Key West. Also, slow down. For example, most motorists try to make the 165-mile drive from Miami to Key West in an afternoon. Sure, you can do it in three hours, but why would you? The whole point of a bucket-list drive is to stop and see what’s along the way. In Miami, you’ll want to stop at one of the incredible Cuban restaurants to pick up an early lunch of Cuban sandwiches or croquetas. Don’t forget the café con leche, por favor. Stop along the way to take lots of pictures. The Overseas Highway straddles the Gulf of Mexico and the Atlantic, with a sea so blue that you can’t imagine it and wildlife that you’ve only seen in documentaries — flamingos, osprey, eagles. If you can make it down to Marathon by dinner, you’ll want to stop by Keys Fisheries for its famous Grouper Reuben. Point is, for bucket-list drives, the journey is the destination. So take it nice and slow. I would spend a whole day on the Overseas Highway or California’s Highway 1 drives. You won’t regret it, and neither will your family. 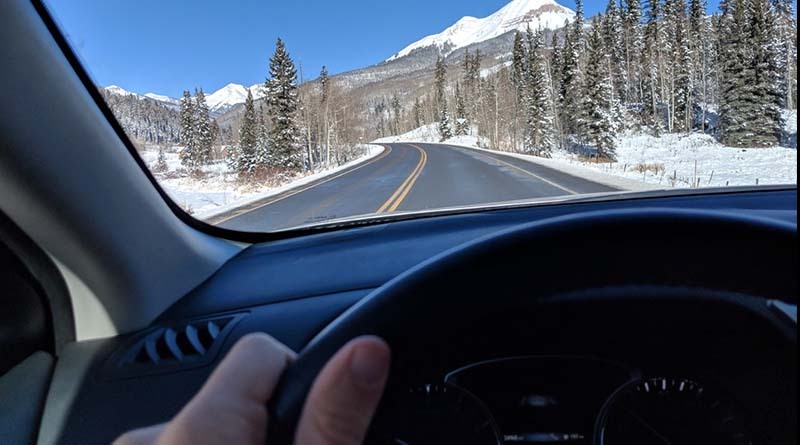 The drive from Purgatory, Colo., to Silverton. So much to see on a late winter day. My last piece of advice is to be wary of distractions — and not just from the back seat. Bucket-list drives shouldn’t make you kick the bucket. A drive along any stretch of scenic highway can be more distracting than a ringing phone or the Google Assistant acting loopy. You have to prepare to be blown away by the postcard-perfect scenery. Take Highway 89A just outside of Sedona, Ariz. When I lived there, I would drive out to the Walmart in Cottonwood on the weekends to do a little shopping, and we had to be extra careful on the way home. That’s because, just as you leave town, you see the stunningly beautiful sandstones of Sedona for the first time, framed against a blue desert sky. I see cars with Illinois and New Jersey license plates drift into the median, and I know exactly what’s happening inside. Dad is reaching for his cell phone to take a picture of those magnificent red rocks. I know, because that’s what I did the first time I drove up 89A. Now I have to watch for others who are mesmerized by Sedona’s beauty. So my advice would be, pull over before you get into an accident. If you can’t, then at least ask a family member to take the picture while you keep your eyes on the road. Everyone should make at least one of America’s signature bucket-list drives once in their lives. Successfully navigating that kind of drive takes a little preparation and patience — plus avoiding the moments that can make you drive off the road. But it’s worth it. A bucket-list-worthy drive could be the highlight of your next vacation.